I was supposed to go home right after having brunch with my college friends. 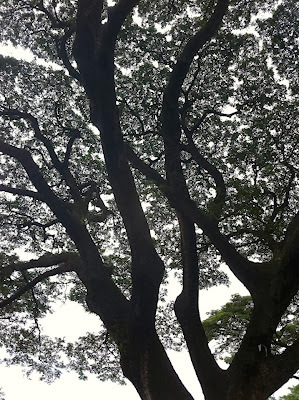 But for some reason, I urged myself to walk around UP Diliman before going home. So I obliged myself with a little 'me' time. I mean, my recently injured foot could also use some exercise, so I trailed away. My friend dropped me off in-front of CAL (College of Arts & Letters) before going back to her class. And from there, I started my slow walk. 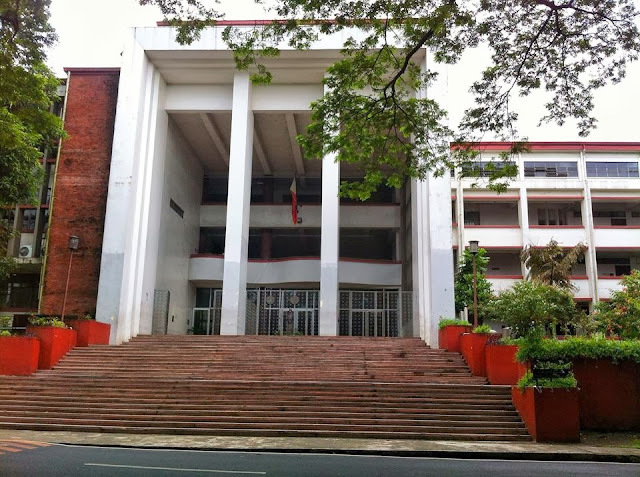 That's when I started taking pictures of the buildings that I used to frequent back when I was still in college. Here are just some of the structures that made me reminisce the good ol' days. I got to see Palma Hall and the famous AS steps that gloomy morning. 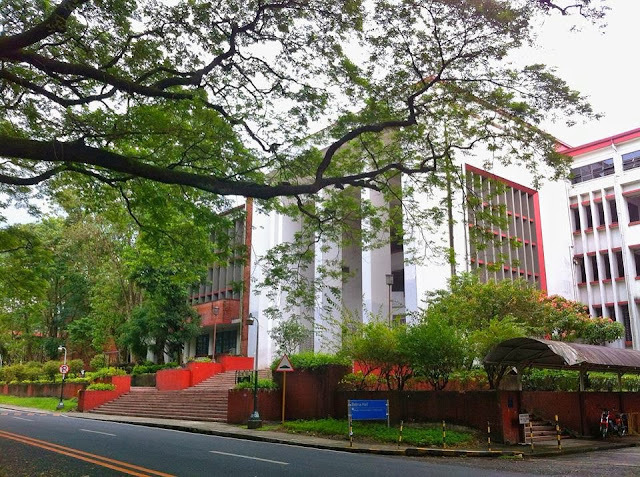 This is where I used to study, hangout and people-watch during breaks. I suddenly missed being in school! 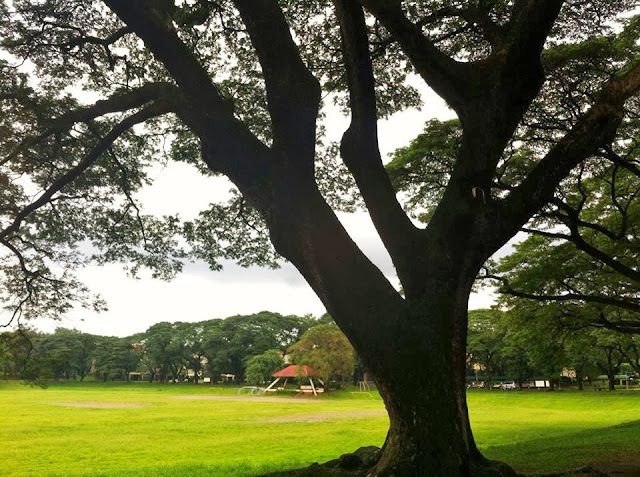 The UP Academic Oval is also a famous site in all of the areas in the University. This is where I usually jog during the weekends. 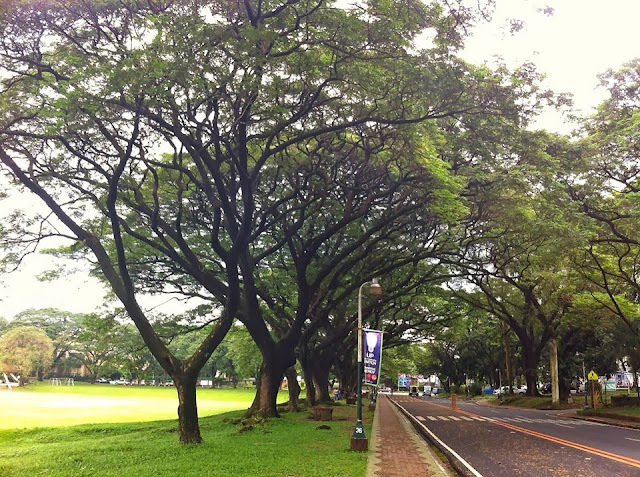 The cool breeze, the quiet ambiance, and the tree-filled scenery is what makes a good run so refreshing. You should try it some time. The photos above shows the lovely and memorable Sunken Garden. I would always hang out here, as it always provides the best shade in all of UP (to me that is). 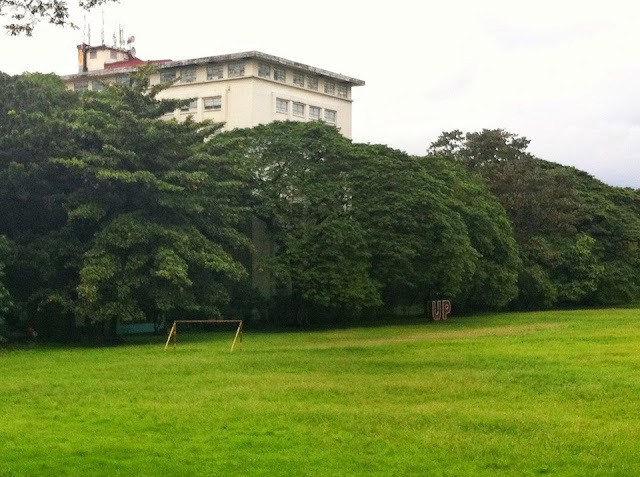 It's a nice setting for picnics, study sessions, pictorials, outdoor games and more. It's also surrounded by several ginormous Acacia Trees, where a 140+ Acacia Trees are planted around. 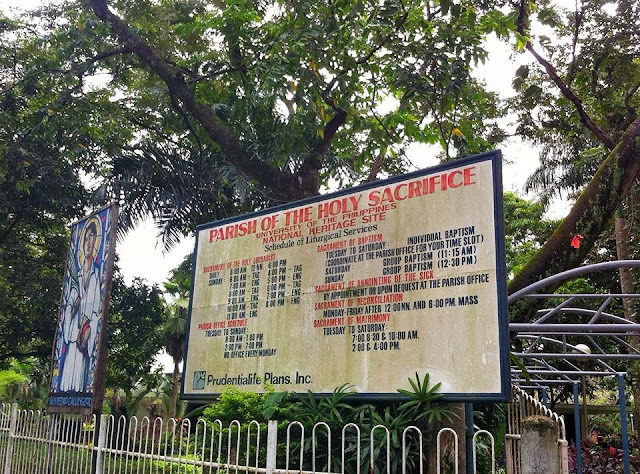 I was also able to visit one of the churches in UPD --- the Parish of the Holy Sacrifice. This church used to be my constant hangout place since my org is located nearby. I used to be an active UPSCAn (UP Student Catholic Action), so we would always hear mass here before doing our daily activities. We would also spend some of our sessions within the area, so the Parish became my second home throughout my life in UP. How about you? When was the last time you visited your university? One day I will visit my majestic Alma Mater too :-). i've always been a UP admirer. 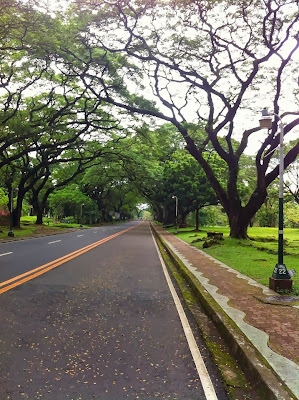 Diliman and Los Banos. Simply amazing. Up always reminds me of the 2.2 kilometers run in the oval. You came from a really good institution Mai. i love UP i wish I went there and especially Chocolate Kiss!!! Tara Claire! 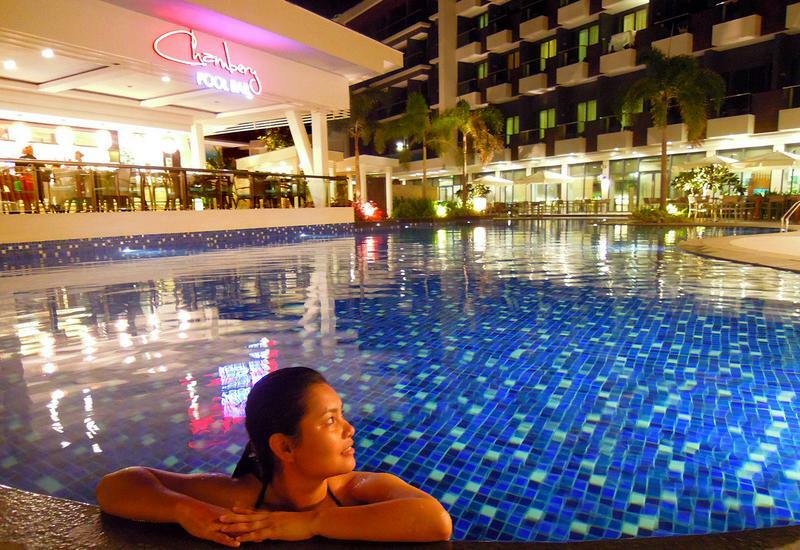 Tambay tayo don and let's be senti together..hehehe!